You are one LUCKY Quilter. I am sure you will be making some wonderful creations from your winnings. I looove Cotton Couture. 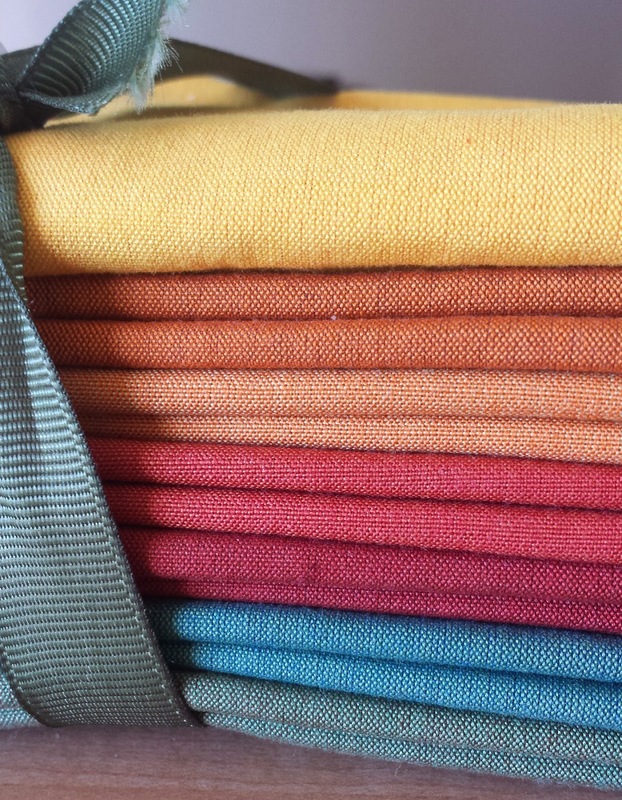 My LQS has been stocking it, and you really can't beat the hand -- or the deep colors -- of that fabric line. I vote for an all-solid quilt! Give-aways are the best! Enjoy your winnings! Giveaways definitely don't count! Have fun with all of those! Wow! Your giveaway wins are fabulous. Lots of yummy sewing ahead for you. Congrats and enjoy! Wow,there are yummiest eye candy! Congrats on all those wins! That's wonderful. And 10 yards!! That's a lot to win. Yay -- you deserve it! I have a lot a lot a lot of fabric. 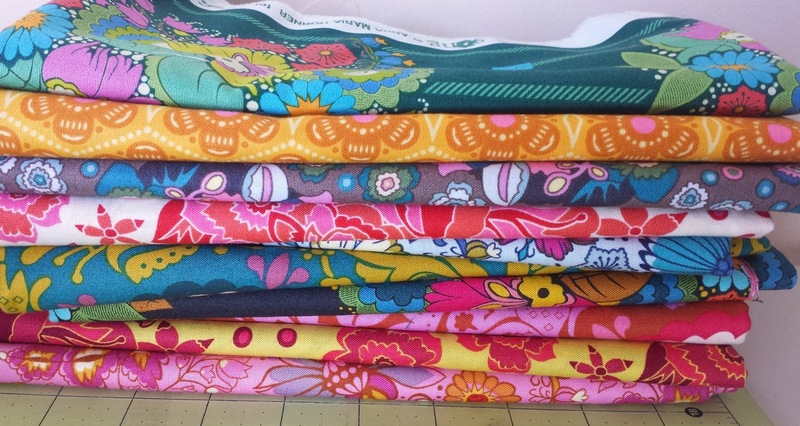 I'm on a fabric diet except for if something is incredible awesome (like something I've really wanted and it's a good price) or incredible useful at rock-bottom prices (like $2 or $3 a yard with coupons and sales). But free is always acceptable!! Woooo look at all those pretties!! How fun is that! congratulations. WOW! any one of those would be great, but all together? You're a lucky lady... enjoy! 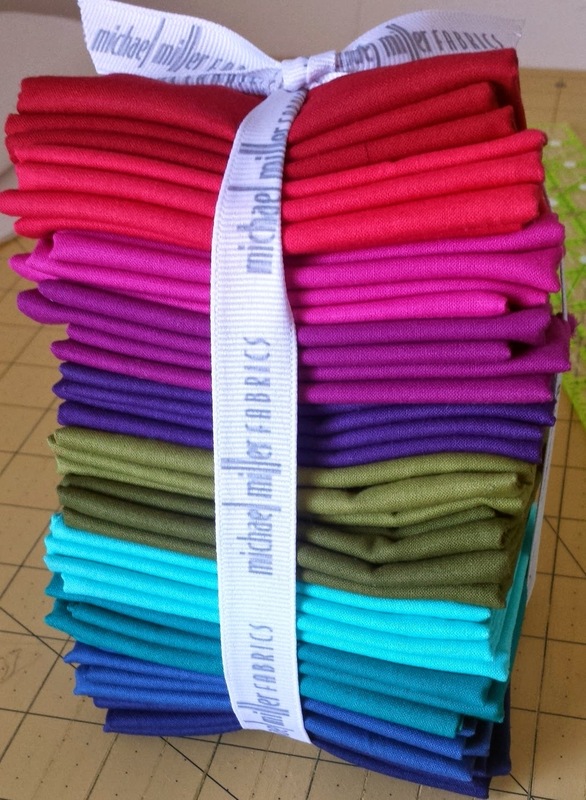 Can I ask you what colors were in your Michael Miller Stash? The combo is beautiful!